ST. GEORGE — Arrowhead Gallery has announced painter Victoria Denning as the featured artist for February. Her work, including a number of new pieces, will be shown throughout the month at the gallery. 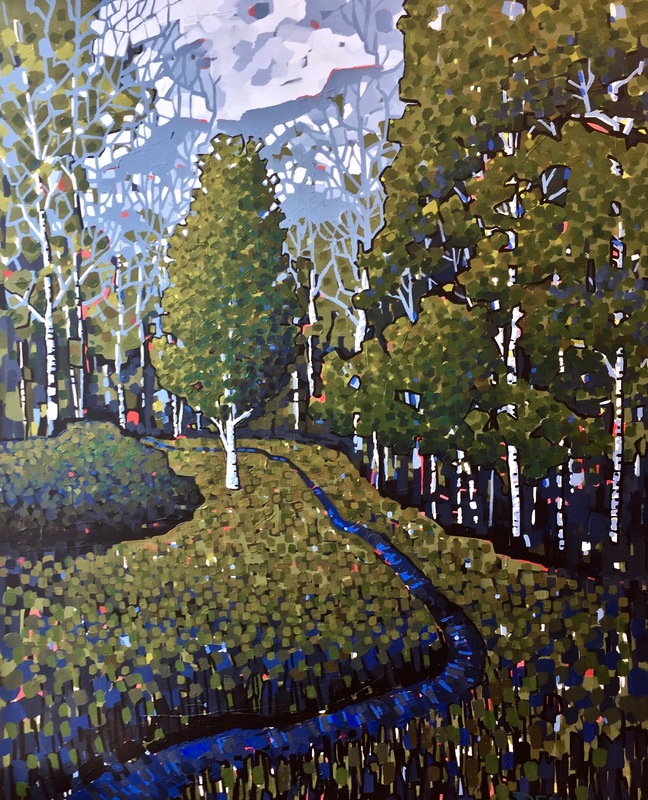 Guests are also invited to join Denning for an artist reception Feb. 16 from 6-8 p.m. at the gallery, located at 68 E. Tabernacle St.
Denning enjoys painting landscapes and figures from memories of childhood and her modern reality through a lens of graphic stylization and patterns. Denning was born and raised in Layton, where her love of art began as she marveled at the paintings hung from floor to ceiling in her grandmother’s art studio. This fueled her passion for lying on the kitchen floor coloring pictures and storytelling for her mother. Denning studied art at Utah State University and Brigham Young University, where she graduated with her Bachelor of Fine Art degree with an emphasis in drawing and painting. Denning’s work can be found in galleries throughout Utah. She has replaced lying on the kitchen floor with working in a studio. Denning enjoys the quiet introspection and problem solving involved in creating and resolving a piece of art. The Arrowhead Gallery showcases artists from the Southern Utah Art Guild. Visit the Southern Utah Art Guild online to learn more about the guild’s activities. When: Friday, Feb. 16, 6-8 p.m.
Where: Arrowhead Gallery, 68 E. Tabernacle St., St. George. The Arrowhead Gallery is open Tuesday through Saturday from 11 a.m. to 6 p.m. Guests may also visit the gallery online.